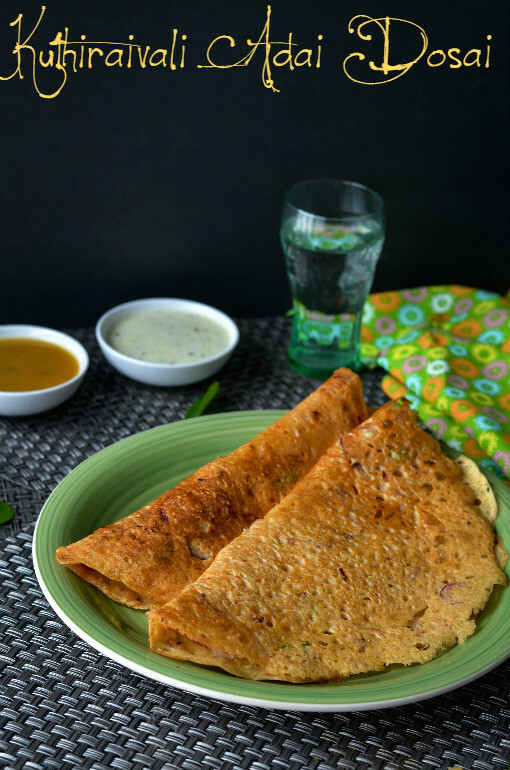 For the day 2 of Blogging Marathon#49 under Indian bread basket theme I am sharing an instant dosa/adai with millet. 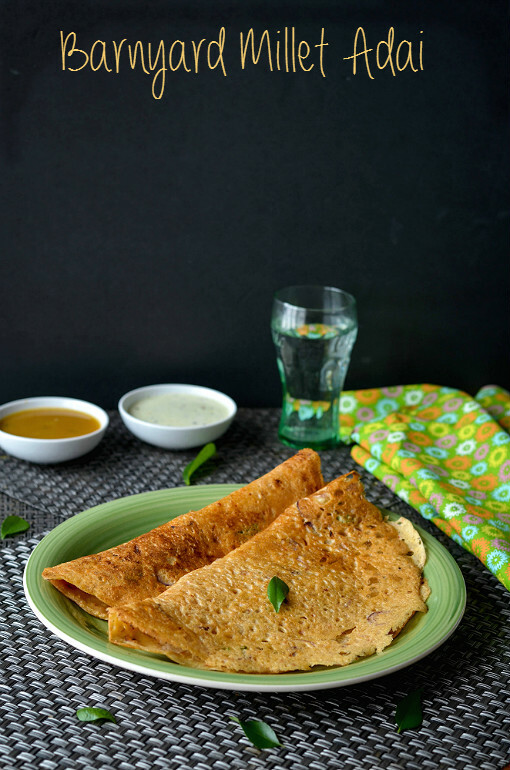 As dosa is also considered as flat bread we are allowed to share a dosa recipe for the theme. Coming to the recipe,I made the adai/dosa with the ingredients,used to make regular adai instead rice barnyard millet is used. 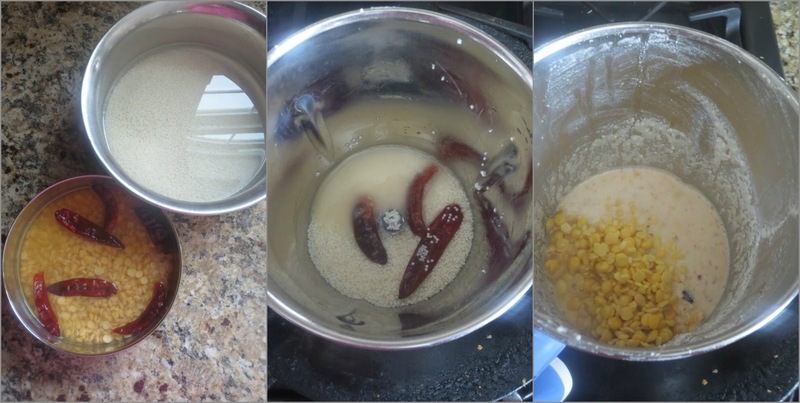 Wash and soak the dhals and barnyard millet separately,even add the add red chilly also with the dhal or rice.Let it soak for 2- 3 hours.After soaking completely drain the water and grind the red chilly and barnyard millet for 30 seconds with little water.Now add the soaked dhal and grind it to a bit coarse paste. Transfer the ground batter to a bowl,to this add the finely chopped shallots,curry leaves and coriander leaves. Add in salt and asafoetida and mix it well,adjust the consistency with water. 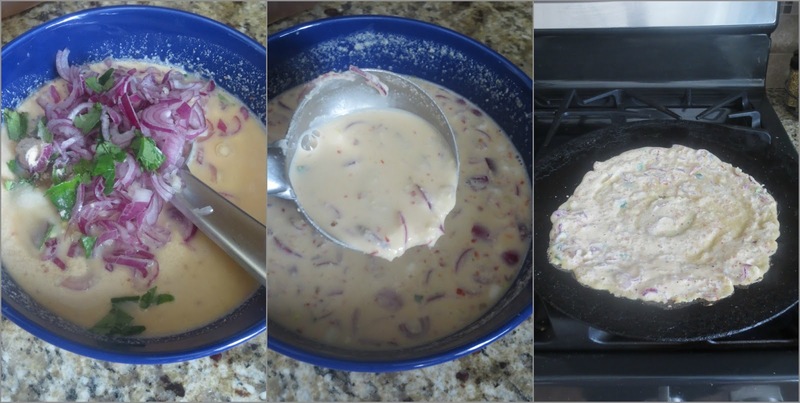 Heat a griddle in a medium flame,once the griddle becomes hot pour a ladle full of batter and spread it. Drizzle a tsp of oil and cook it for a minute or two,till it becomes golden.Flip it to the other side and cook it for couple of minutes,drizzle another tsp of oil. Remove it from the flame. 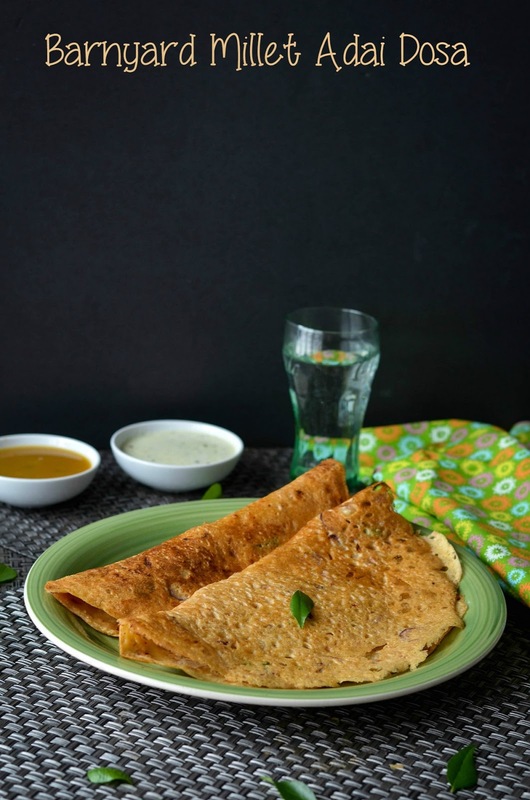 Serve it with coconut chutney and sambar or pickle. 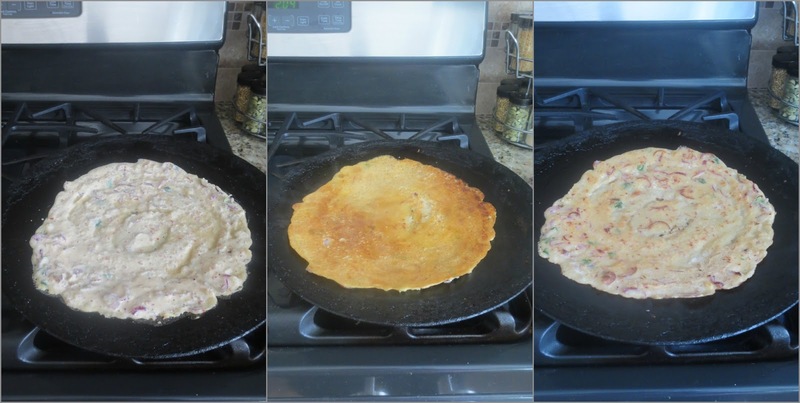 To make it like a crepe,make the batter slightly thin and pour it from outside of the griddle to in and fill the gaps. Keep the flame in a medium to get a nice crispy edges. Grated carrot and coconut can also be added. Here I didn't add ginger or garlic,if you want feel free to add a clove of garlic and a small piece of ginger. As my red chillies are not spicy I used 6. Check out my fellow bloggers participating in Blogging Marathon #49 here. 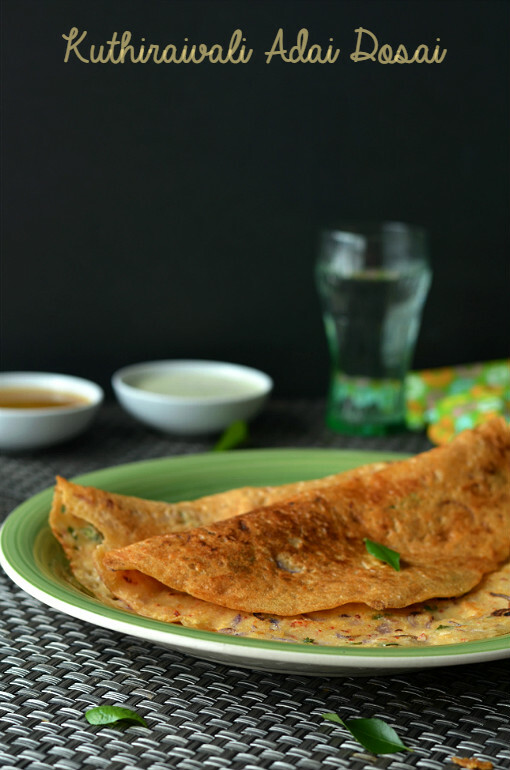 healthy and delicious adai!!! love the millets.. I think I haven't even seen some of the millets that are being showcased in dishes during the recent marathons. :) That is one healthy and nutritious adai. I have not heard about this millet. Very interesting recipe of adai. 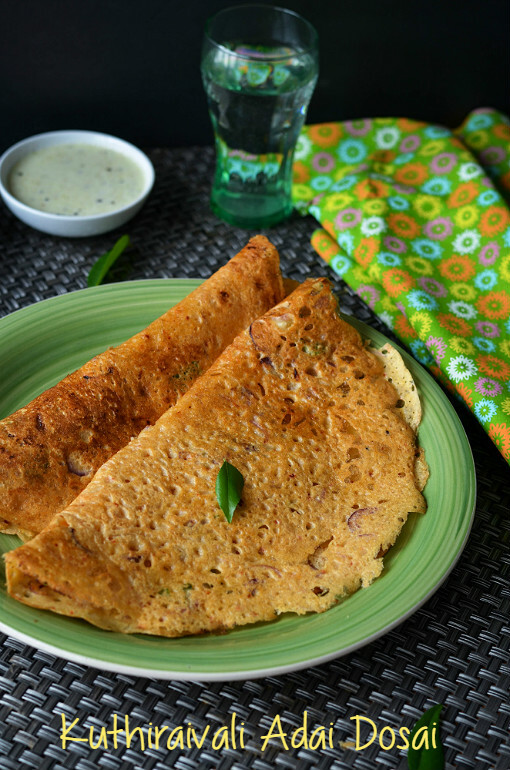 Healthy whole grain adai! Looks delicious. Such a beautifully shot picture Nalini...very inviting! Healthy breakfast! Looks so good. A healthy and nutritious adai. Beautiful clicks and I love that plate that you have used, it looks stunning, really awesome. Love the addition of samo to adai, makes them even more nutritious. Bookmarked to try soon. Love to have this for breakfast! Very healthy Dosa. It looks awesome..
That plate of adai is just inviting me, makes me hungry.